SINGAPORE — His Facebook post last month on a beautiful Jambu Fruit Dove that slammed into the glass window of a school computer laboratory went viral, but Mr Jacob Tan did not stop there. On the very day of the incident on Oct 16, the 33-year-old biology teacher from Commonwealth Secondary School spoke to one of the vice-principals and the school’s operations manager about reducing the risk of bird collisions in future. Within days, students pasted some paper dots on the third-floor window, where the collision occurred, to reduce its reflective area and for closure. By Oct 29, a contractor had put up non-reflective stickers on the large glass surfaces on either side of a wetland area on the ground floor. The wetland has plants such as the sendudok that attract birds for feeding. In an update on Facebook, Mr Tan said that the strips balanced the “design element of allowing natural light and visibility into the rooms while mitigating the risk of future bird collisions”. Asked why he supported the mitigation measures, principal Ng Boon Kiat said that the school believes in nurturing students’ appreciation of and connection with the natural world. “The school’s role in this is doubly important because many of our students live in (a) built-up environment with limited access to nature,” he said. In tandem with a growing awareness here of “bird-building collisions” — or collisions between birds and man-made structures — efforts are underway to tackle the problem. Next year, the National Parks Board (NParks) will release a set of design guidelines for buildings and landscapes to be more sensitive to the behaviour of animals. 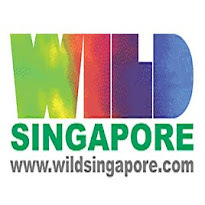 Mr Lim Liang Jim, group director of the NParks' National Biodiversity Centre, said that the guidelines will be refined for Singapore’s urban environment and will cover bird-friendly building designs and modifications. Birds may collide with buildings as they are attracted by reflections of greenery on building surfaces and may not comprehend that glass is a solid barrier, he said. “With more opportunities to get closer to nature in the city, there is a need to adopt building and landscape designs, and practices that are more sensitive to the behaviour of animals,” Mr Lim said. At Commonwealth Secondary, the idea of mitigation measures was mooted by avian ecologist David Tan when he went to collect the dead Jambu Fruit Dove for research. Mr Jacob Tan then worked with the contractor to ensure the non-reflective strips were pasted on the outside — and not the inside — of the school’s Design Space and After School Engagement rooms. Since April last year, Mr Jacob Tan has recorded four cases of birds colliding with glass windows or panels at the school. Two were Pink-necked Green Pigeons, one was a Spotted Dove and the latest victim was the Jambu Fruit Dove. All cases were reported by the students. The American Bird Conservancy stated that collision with glass is the single biggest known killer of birds in the United States, claiming hundreds of millions or more lives each year. The primary bird collision zone is from ground level to about 12m in height. Numbers for Singapore are not known, but Mr David Tan has collected about 700 carcasses of birds that likely collided into buildings in the past five years. He believes the number to be the tip of the iceberg. More carcasses are found during the migratory season, which lasts roughly from September to early May. Species that have been more commonly found dead include Blue-winged Pittas, Black-backed Kingfishers and bitterns. Another ground-up effort is by Ms Gina Goh, 24, a student from Nanyang Technological University (NTU), who hopes to offer data and solutions to the NTU administration. The final-year biological sciences student, who is doing a minor in environmental sustainability, gathered a team of 12 volunteers and on Oct 15, began doing bird-collision patrols at three sites on campus that are believed to be potential hotspots. They plan to do twice-daily checks on weekday mornings and evenings for six months to collect data on bird collisions. In the first three weeks, the team found 17 birds, most of which were dead. Together with a week-long survey from Sept 24 to 28 as part of the global Collision Count Week, the total number of likely collision victims is 23. “Most of the birds found dead were found near glass buildings. We can’t say they definitely died of bird-building collisions but… they likely (did),” Ms Goh said. In the past, she and other volunteers did checks when they were free. “This time, because we really want NTU to put in some mitigation measures to stop this, we started the bird-collision patrols,” she said. The patrols are done by members of an informal student group she formed last year, called the NTU Wildlife Monitoring Team. At the same time, Ms Goh is working on solutions. As part of an Art and Ecology module this semester at NTU’s School of Art, Design and Media, she and her course mates are working on a project that combines science and art. It is still early days, but an idea is to develop stickers that double up as solar films. The co-teachers of the module, Asian School of the Environment senior lecturer Shawn Lum and Visiting Associate Professor Meridel Rubenstein at the School of Art, Design and Media are supportive, Ms Goh said. She hopes to submit both data and potential solutions to NTU’s administration around April next year. “I know bird-building collisions aren’t limited to NTU. (When) we have this data, maybe other scientists or researchers may want to expand to other areas as well,” she said. Students from other schools can try doing bird-collision patrols, Ms Goh suggested, adding that the patrols do not have to be at fixed timings if the students just want to try it out, and they need not take very long. Dr Lum, who is also president of the Nature Society Singapore, said that the society’s bird group has been documenting bird-building collisions for years. “With a commitment of making our city more ‘biophilic’, I am quite sure that we will see a considerable increase in efforts across all sectors to reduce this insidious threat to birds,” he said. Biophilic design is design that fosters more interactions between people and the natural environment for their well-being.